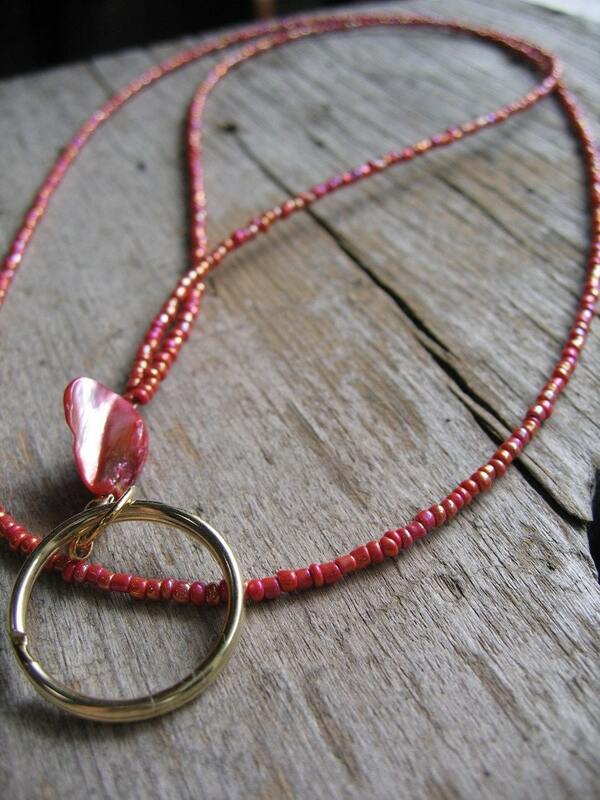 This dainty pink and coral with touches of gold beaded lanyard would be a great gift for your teacher to wear their badge on. The lanyard measures 17 1/4 inches long to the bottom of the pink shell bead. A ring is included at no extra cost to you. This will add another 1 inch to the lanyard.